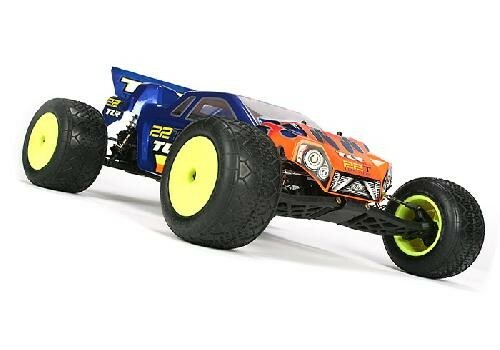 The Team Losi Racing™ 1/10-scale 22T 2WD Electric Race Truck Kit is based on award-winning TWENTY TWO racing platform. Without a doubt, it will reignite 1/10-scale electric truck racing throughout the world. The TLR 22 platform takes full advantage of it's innovative design and envelope-pushing LiPo and brushless power. It is the only platform of its kind to offer all the hardware needed in a single kit to build a rear- or mid-motor configured chassis. 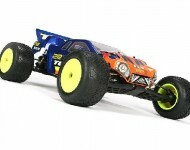 The 22T will change the face of 1/10-scale, 2WD truck racing.